Add the missing Module that Microsoft left out of Flight Simulator! 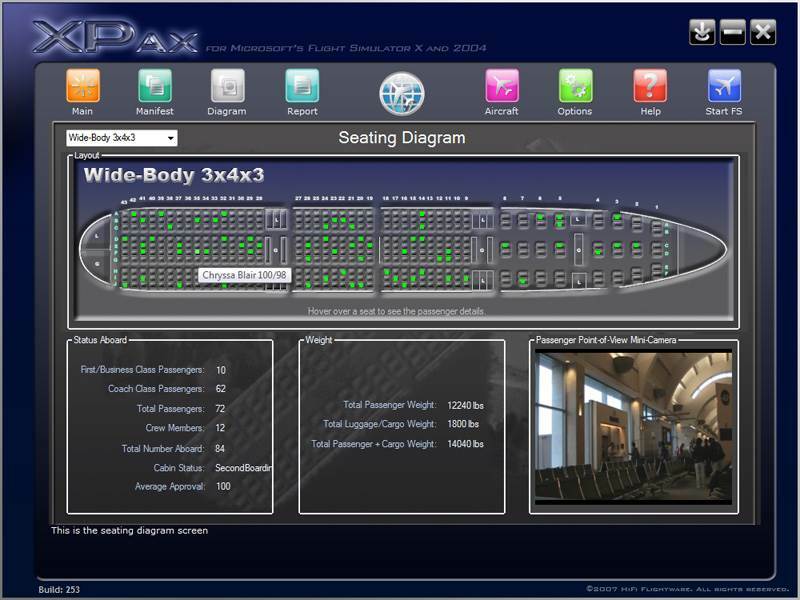 X Pax for FSX and FS2004 adds the ability to carry virtual passengers on your next flights. This adds an element of realism (and some accountability) to your FS world. Be rough on the controls or hit the pavement a little too hard and you will soon know (and hear) about it from your passengers behind you! Introducing a different kind of add-on from HiFi that works with both FSX and FS9! With XPax, the experience of carrying passengers in an airline environment is brought to you in an entertaining and realistic way. Passengers and their individual statistics including health and approval rating are constantly updated based on the performance of the flight. The entire flight process, from pre-boarding to deplaning, is simulated and supplemented by multimedia content including audio and video. 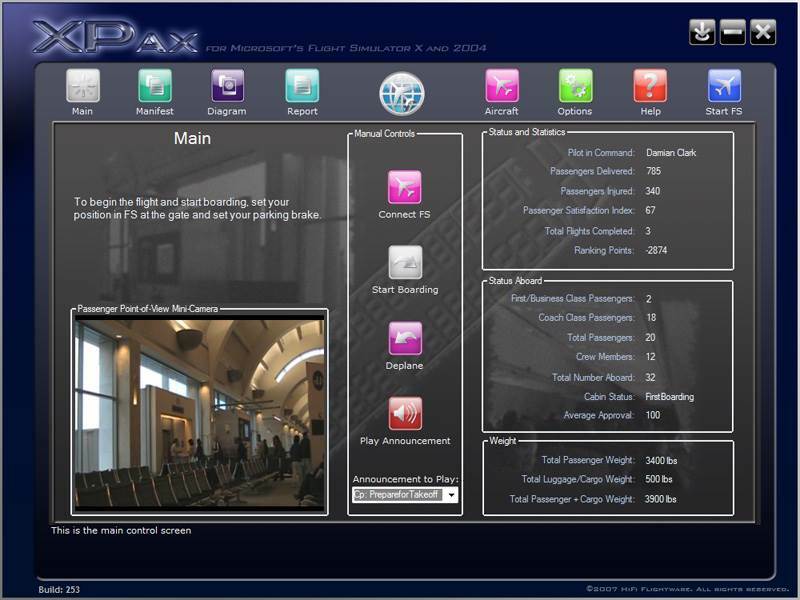 Cabin attendants, Gate Attendants and Captain voice sets are included and fully customizable using the easy options screen. New voice sets can be recorded with a few clicks of the mouse. Video, provided in a "Passenger point-of-view" format is also fully customizable within the interface with a bit of simple movie production. XPax is designed to run along-side FS and automatically senses when certain phases of the flight take place, launching appropriate events, audio and video. 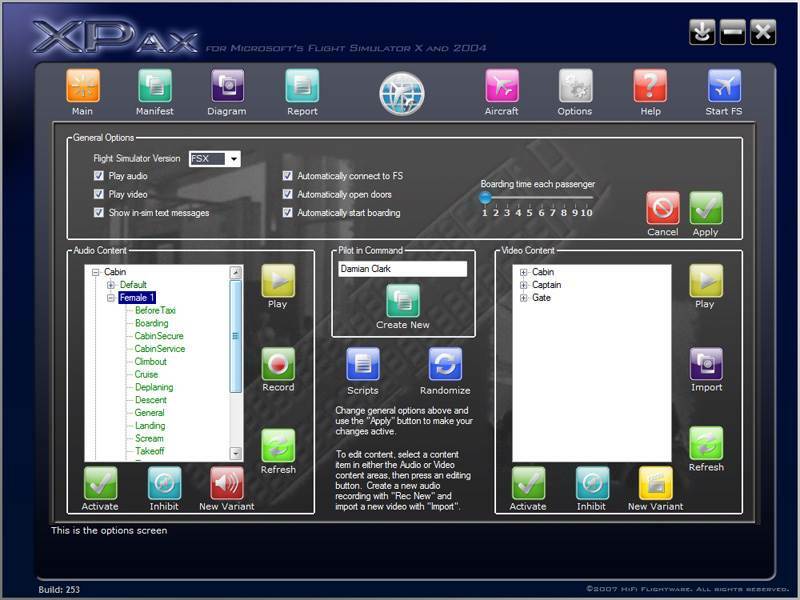 With XPax, everything you do is monitored closely and the passengers will react accordingly. Using abrupt control movements, climbing or descending too fast, obtaining unusual attitudes, too many g-forces, aggressive taxi turns or a hard landing will all reduce passenger satisfaction and in extreme cases will cause injuries! Many other features, as well as a comprehensive user guide and top-notch HiFi customer support are all included.